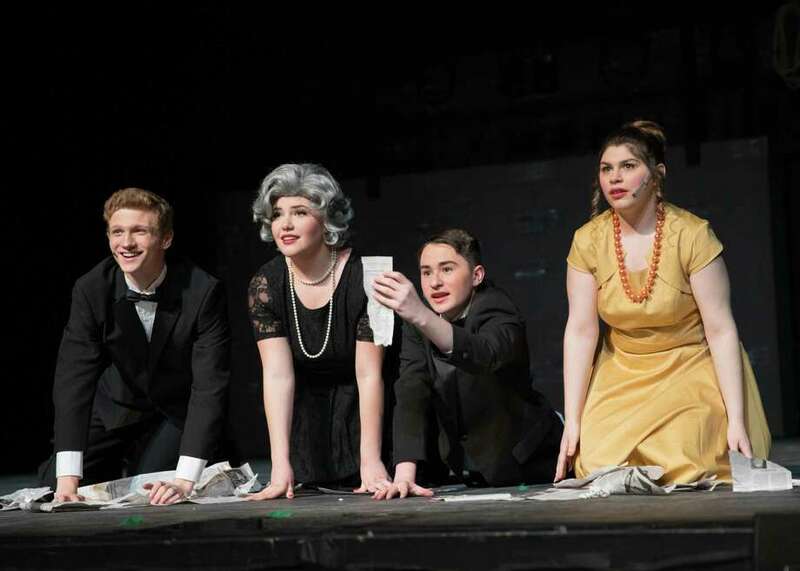 The cast of New Milford High School’s all-school musical, “Curtains,” includes Brian Hinger as Aaron Fox, Mika Stetson as Carmen Bernstein, Josh Abel as Oscar Shapiro and Jenna Drahota as Georgia Hendrix. New Milford High School will open its production of its all-school musical “Curtains” March 23 at 7 p.m. Following opening night, the musical — under the direction of new director Alessandro Amenta — will be staged March 24 and April 6-7 at 7 p.m., as well as March 25 at 3 p.m. and April 7 at 2 p.m.